Textured Vase. 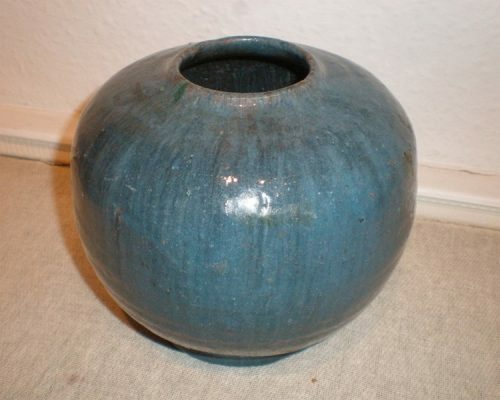 Wood Ash Glaze. 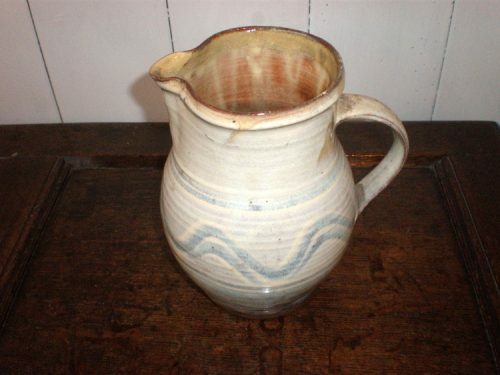 Waistel Cooper, a Scot born in 1921, set up his pottery at Porlock in Somerset in 1952. 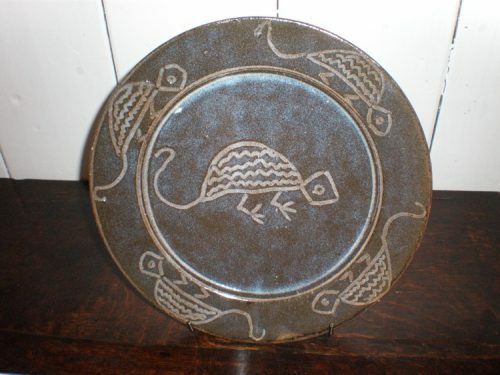 He specialised in textured surfaces and was also known to use wood ask glazes occasionally. 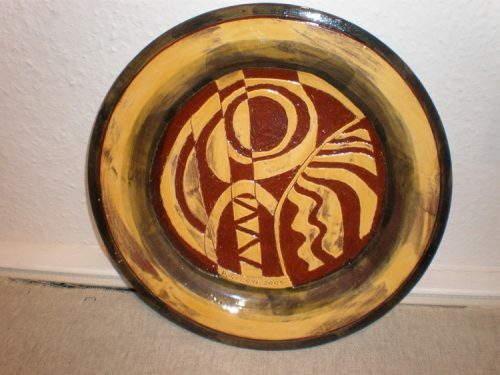 From 1983 he operated from Barbican Pottery in Penzance, Cornwall. 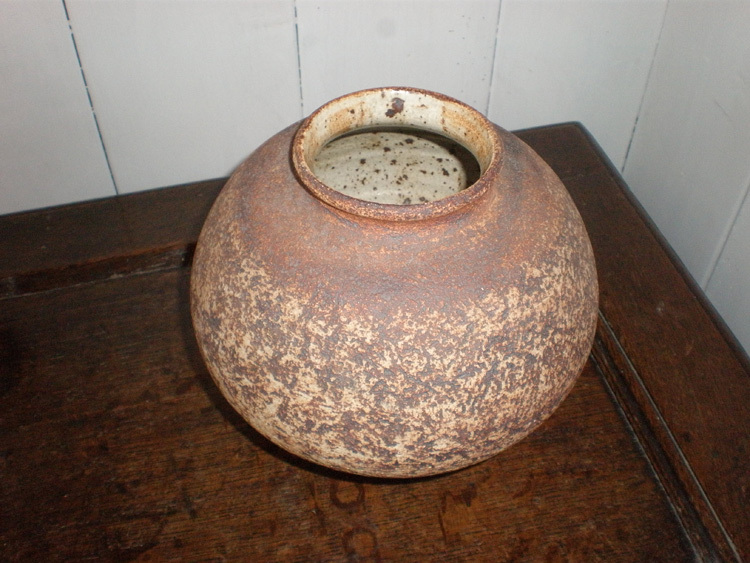 He signed his work with his forename in black, but I have seen a pot with just a ‘W’. He died in 2003.